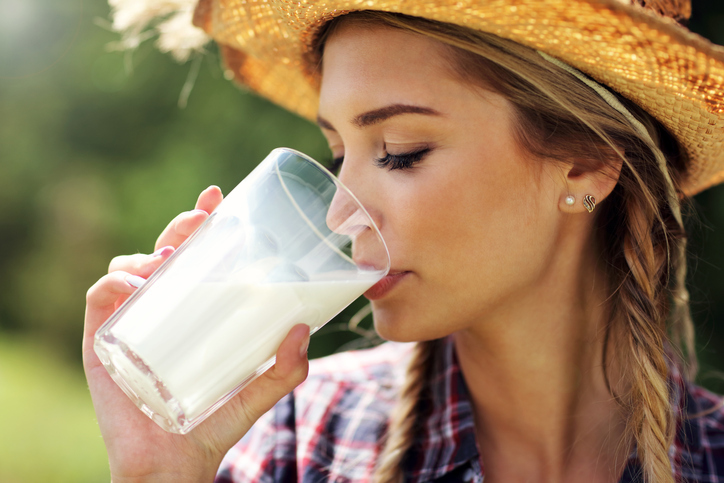 Researchers report in the Journal of Crohn’s and Colitis that they have developed a type of “immune milk” for programming the human immune system against inflammatory bowel disease (IBD), one of the commonest gastrointestinal disorders, affecting 3 million US adults. People who have IBD often suffer abdominal pain, diarrhea, weight loss, rectal bleeding, anemia and fatigue. A sufferer may have no symptoms for years and then experience an onset. Others suffer lifetime symptoms. The inflammation in the gastrointestinal tract that is at the heart of Crohn’s and colitis, both of which comprise IBD, is caused by food allergens that leak from the gut. “IBD is accompanied by lesions in the epithelial barrier, which allow bacterial products from the gut lumen to pass into the bloodstream,” say the researchers. Bovine colostrum (BC) is nature’s “first milk” that all newborn mammals receive upon their birth. BC is loaded with immune and growth factors that enable newborns to survive and thrive. Because their immune systems are virtually nonfunctioning on birth, newborn calves will often die without colostrum. The researchers used a variation of bovine colostrum (BC) called hyperimmune colostrum. There are many types of hyperimmune colostrum. That is because BC’s high content of immunoglobulins (which remove the food allergens that leak from the gut) reflect the germs to which dairy herds are exposed as they graze. By purposely exposing dairy herds to the causative agents of IBD, scientists were able to stimulate production of larger quantities of Immunoglobulin G (IgG), which acts against the pathogens linked with IBD. The hyperimmune BC they used was called IMM-124E, containing high levels of anti-E.coli IgGs. The idea of its use was to “limit exposure to bacterial endotoxins,” in other words, bits of food leaking into the blood that cause systemic inflammation. IMM-124E isn’t available to patients. However, regular use of commercially available BC products has been shown to keep the gut lining healthy. Some studies show, for example, people who use BC with aspirin have protected their guts from the ulcerating effect of the medicine. BC makes sense as a staple dietary food. And while some people buy it by the capsule, others eat it like food in its powder form. Processing or lack of it determines its active ingredients. Some companies remove the fat. Not good. The fat stores immune and growth factors. Some colostrum products have lower IgGs than others. The kind of colostrum with the most immunoglobulins is harvested within the first six hours of the birth of the calf. As time lapses, colostrum transitions into milk, and some colostrum products are closer to milk and less likely to have adequate immunoglobulins. Get the six-hour kind of colostrum to make sure its immunoglobulin content is high.